Our Essex standard horse stall front with a full grill door, v-door opening, & feed opening is a great DIY project and allows for socialization and makes it easy to feed your horses! 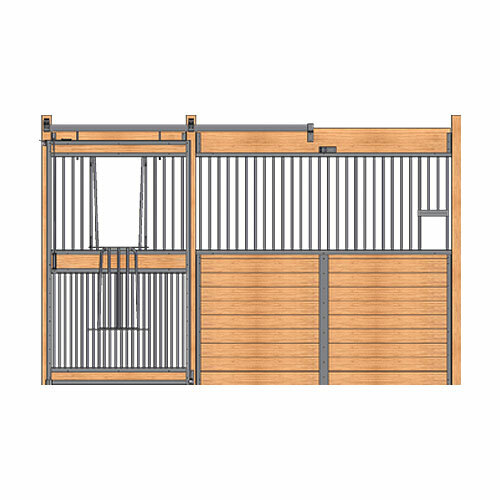 Let in the fresh air and keep an eye on your horse(s) in our Essex standard horse stall front with a full grill door, v-door opening, & feed opening. This stall front allows for socialization and makes it easy to feed!